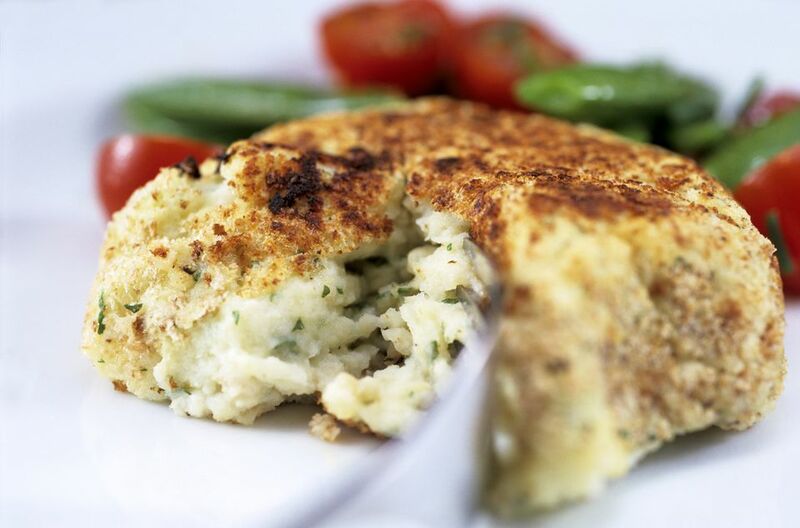 these family favorite crab cakes are flavored with green onions and seasonings. The reduced-fat mayonnaise and egg whites helps keep them light. Put crabmeat in a bowl. Add the mayonnaise, Worcestershire sauce, hot pepper, green onions, dry mustard, pepper and salt. Blend in the egg whites. Shape into 4 cakes about 4 inches across. Place cracker crumbs on a plate and season with salt and pepper. Add crab cakes to the hot skillet and cook 5 minutes. Turn and cook 5 more minutes.